Your tires play a major role in your fuel economy and road safety so it’s important to make sure they are maintained to do the best job. It’s not uncommon for drivers to unintentionally drive on under inflated tires which directly effects your tires responsiveness and gas mileage. That’s why Honda’s tire pressure monitoring system (TPMS) is such an important feature in your vehicle. What does the TPMS do? Honda’s TPMS is a pretty simple system. The sensor is installed inside the wheel and monitors the pressure in all four tires. If the air pressure in any tire becomes significantly low, the system alerts you with a light on your dash. 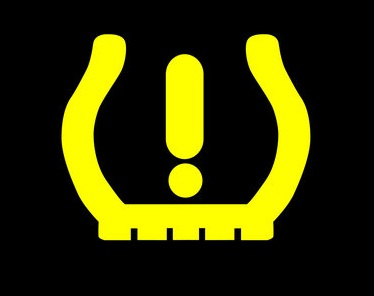 The TPMS only alerts the driver to under inflated tires, not over inflated. What can cause changes in tire pressure? Besides the obvious tire puncture or damage, tire pressure can vary unexpectedly from other outside conditions. Temperature is a big factor is tire pressure – for example, if you check and/or fill your tires in a warm area and then hit the road in cold conditions, your tire pressure will be lower than you originally measures, and possible under inflated, causing the TPMS to turn on. To learn more about maintaining your Honda, click below for your free maintenance guide!